I hope you are catching hold of the tail end of summer. If not, My Melody has collected cute shells aplenty to brighten up your LINE screens with a lightly colored makeover. If there’s one thing Rilakkuma knows how to do, it’s relax! It’s no surprise he does summer vacation so well. Make your summer vacation one to remember with this refreshingly blue summer theme from Rilakkuma and friends. 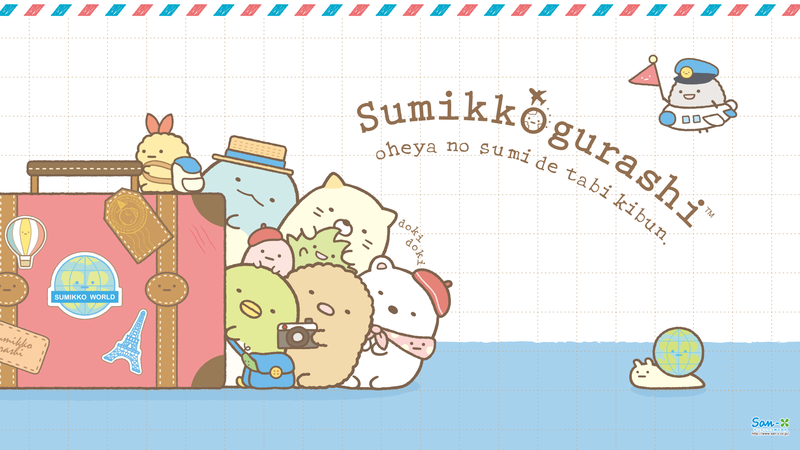 Sumikko Gurashi characters are going to travel again, where will they visit? Do you know that July is National Picnic Month? The warm weather of the summer is the best time to go on a picnic! 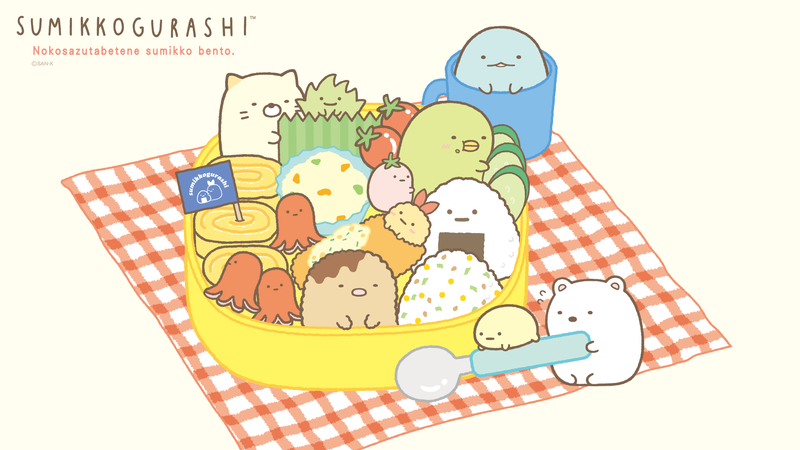 I would love Sumikkogurashi characters in my bento box! Gudetama is going on an adventure into the forest, what will happen to this adventurous egg?